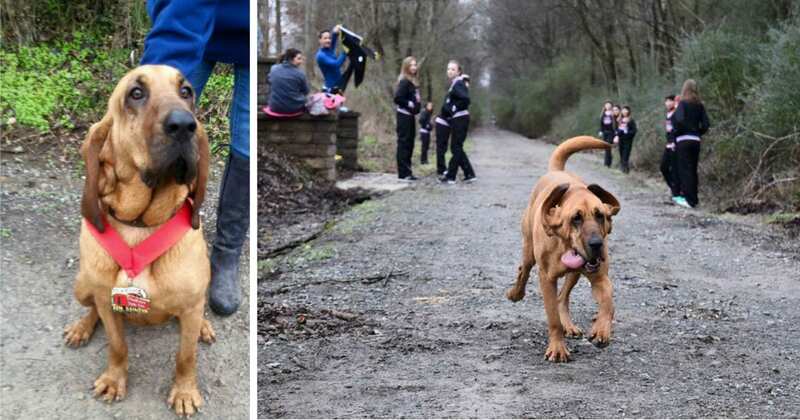 Back in January 2016, a woman named April Hamlin let her two-year-old Bloodhound Ludivine out to use the bathroom. 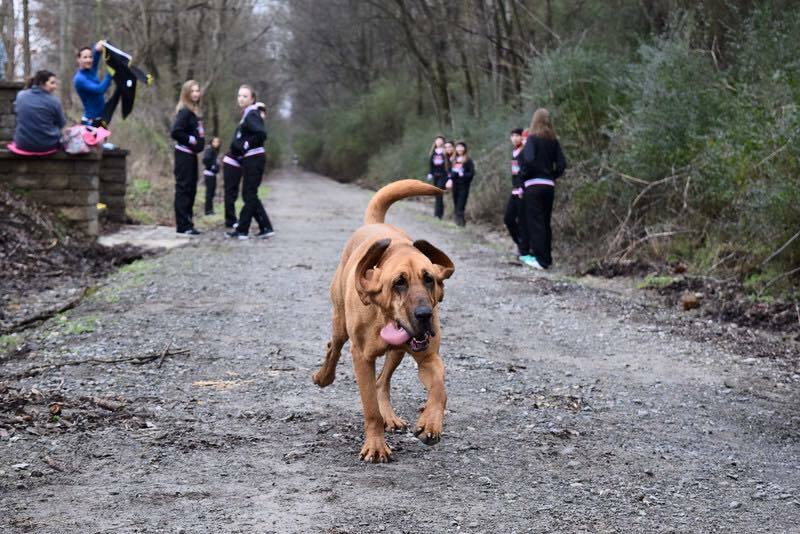 April didn’t realize it at the time, but a race was starting nearby: the Elkmont Trackless Train Half Marathon. Ludivine saw all the runners lining up, and she decided she wanted to join in the fun. And so, Ludivine crawled underneath the fence in her backyard. Then, she ran out into the road and joined the half-marathon! Ludivine ran the entire 13.1-mile half-marathon. All the runners who saw her thought it was hilarious, and they encouraged her to keep going. Ludivine did sometimes go off on her own adventures. She stopped to sniff all the trees along the road. She also stopped to investigate a herd of cows, and she took a break to take a quick dip in a nearby stream. Still, even with all the detours, Ludivine managed to place seventh in the race, and she had a time of 1:32.56. She was the highest placed female in the whole race! April didn’t realize what Ludivine was up to until her friends started sending her photos. April was amazed to see her dog running so far. “My first reaction was that I was embarrassed and worried that she had possibly gotten in the way of the other runners. 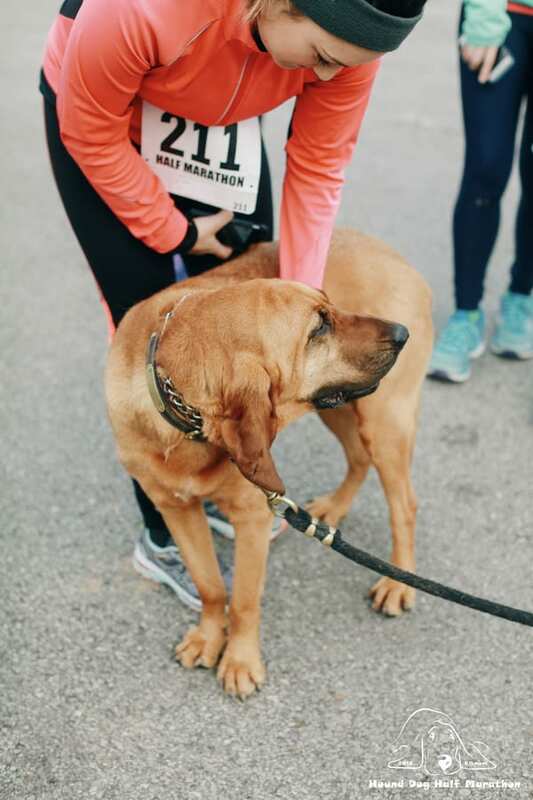 She’s laid back and friendly, so I can’t believe she ran the whole half marathon because she’s actually really lazy,” April told Runner’s World. Photos of Ludivine running went viral around the world. 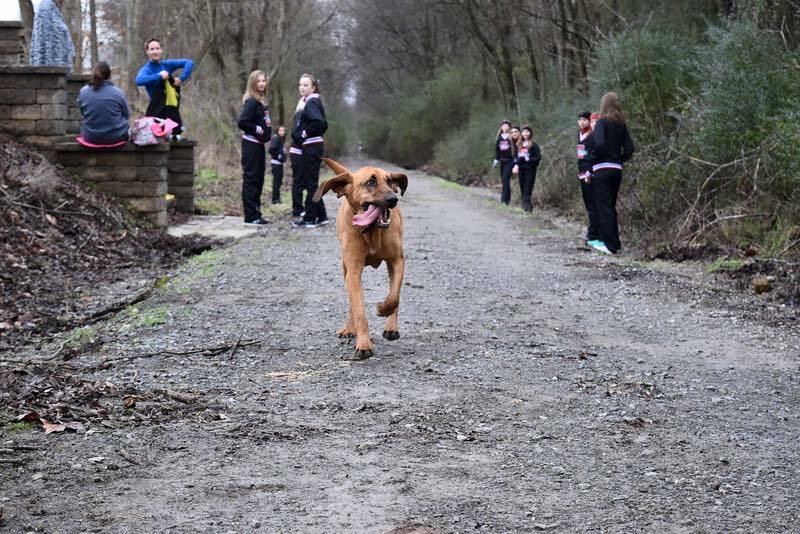 Everyone was amazed by the way the dog accidentally joined a race. People were also amazed to hear how well she did. “Her owner doesn’t even run! That’s what makes the story even better,” race director Gretta Armstrong told CNN. The city of Elkmont, Alabama decided to embrace Ludivine’s status as an internet celebrity. 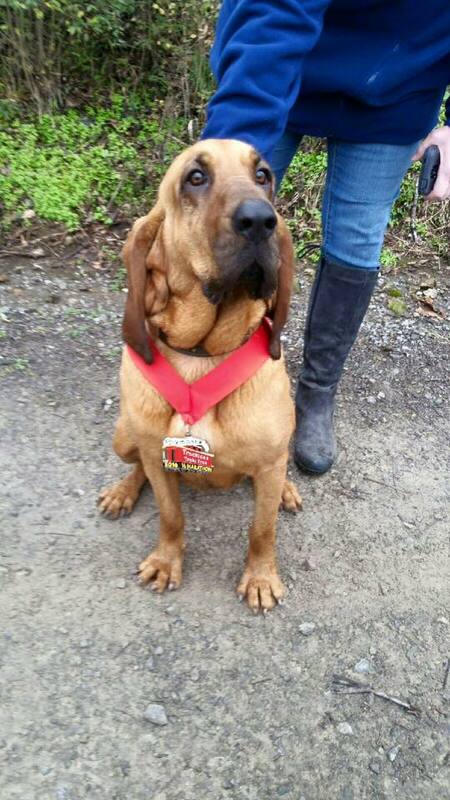 They renamed the annual race the ‘Elmont’s Hound Dog Half.’ They also made Ludivine the official mascot of the race. Her face is engraved on the winner’s medals and on all the race’s merchandise. The person who places seventh also gets a special award in honor of Ludivine’s accomplishment. 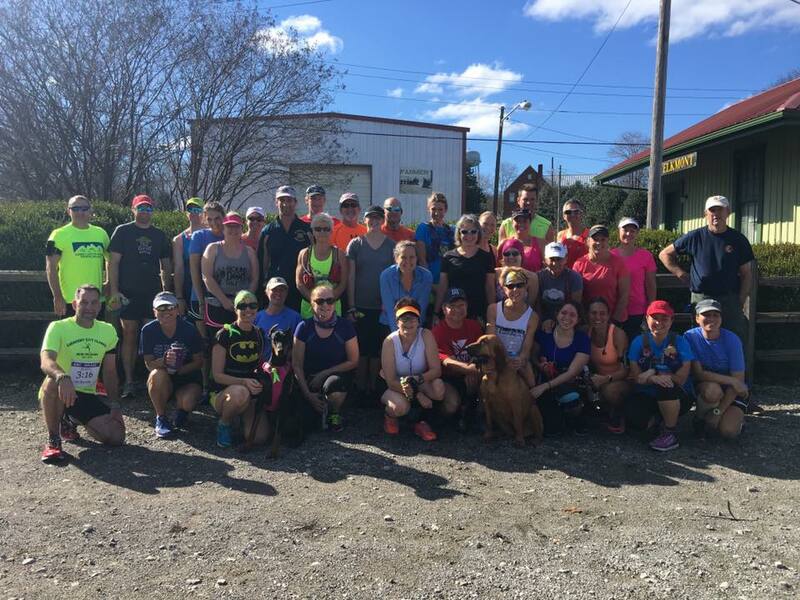 In 2017 and 2018, Ludivine visited with the runners before the race. 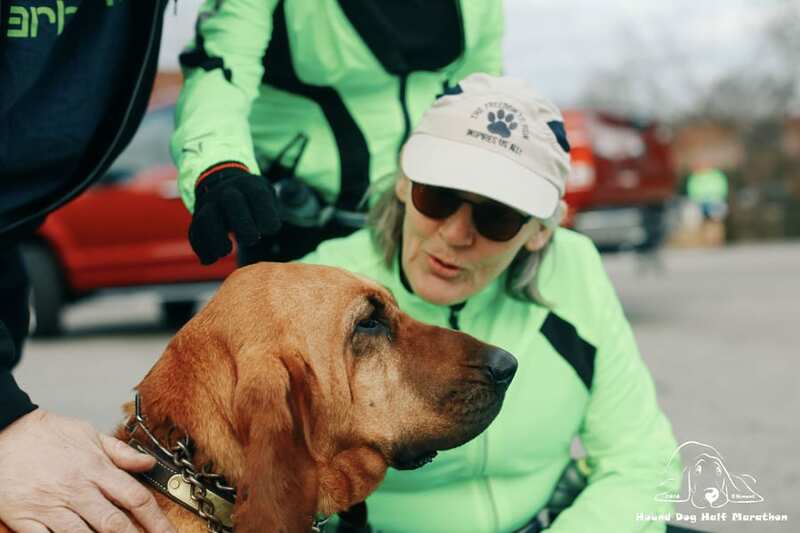 She didn’t run herself, but she made sure to give all the runners plenty of encouraging licks before they began the race. Ludivine also waited at the finish line to greet the runners. Everybody was so excited to meet her! Ludivine is an adorable and hilarious dog who has some seriously impressive running skills. If you want to learn more about Ludivine, check out the video below.